Gift Certificates | Leanify Ltd.
Are you looking for a gift for a colleague or friend? 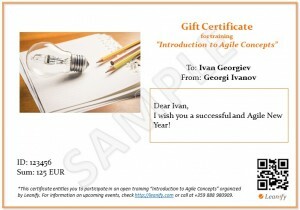 How about a gift certificate for Agile training or individual coaching sessions? You can order online and get the certificate immediately in your mailbox, or choose to deliver it directly to your friend or colleague. 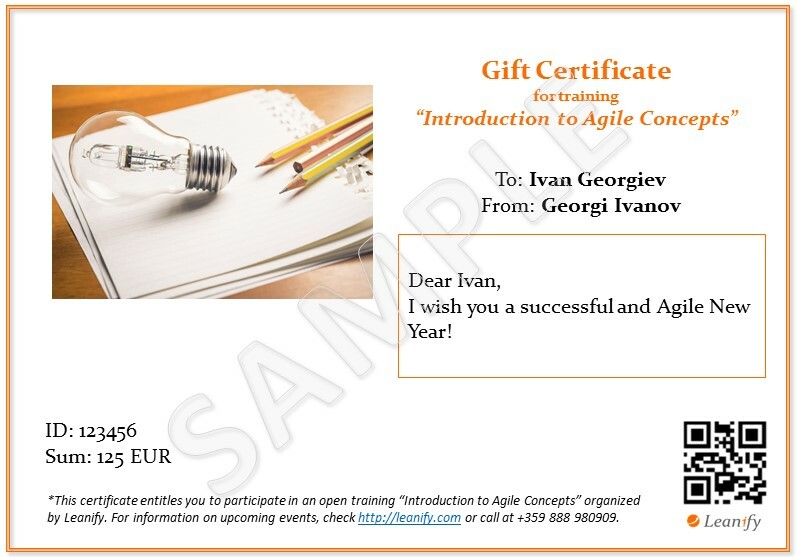 Only now you can order a gift certificate for our training “Introduction to Agile Concepts” and get a 15% discount from the regular price!